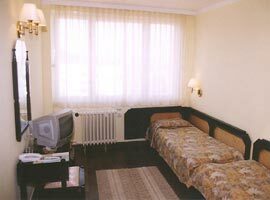 Leipzig Hotel is located in the centre of Plovdiv, near the Central Railway and bus station (650 m.), the Old Town and the Plovdiv city park. 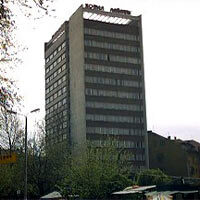 The hotel was built in 1969, but it was recently renovated and refurbished. 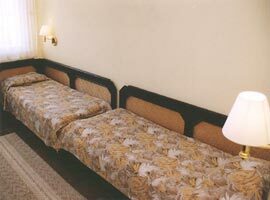 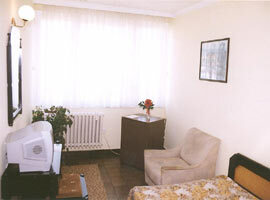 The room facilities include colour TV, radio, telephone, mini-bar, private bathroom/toilet, toilet with sink. 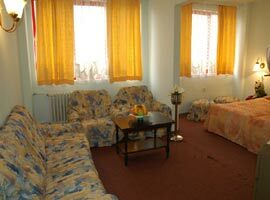 The hotel facilities include lift, safe deposit boxes, currency exchange office, laundry and dry cleaning, luxury restaurant with summer garden, cafe-bar (working non-stop), secure parking lot. 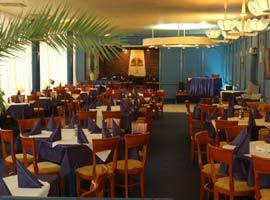 Restaurant 'Leipzig' with open-air garden is well known in the area for its excellent meals. 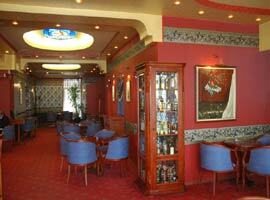 It has 2 entirely air-conditioned halls with 80 and 160 seats.